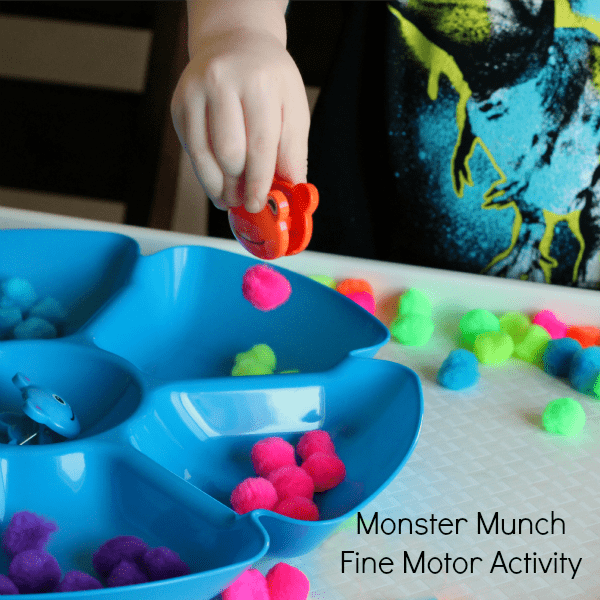 This monster munch fine motor activity is a fun and simple way for toddlers and preschoolers to develop fine motor skills and practice color recognition. 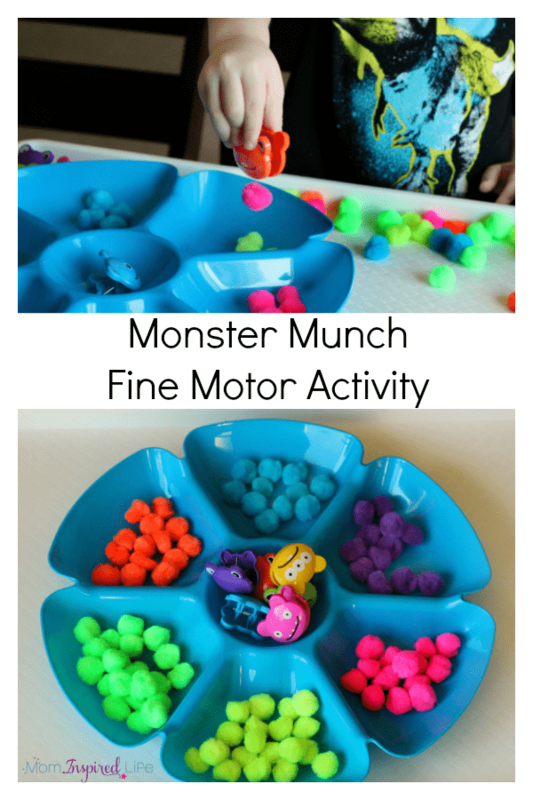 This is a super simple busy activity to set up for young kids, but it is jam-packed with opportunities to exercise the small hand muscles and develop fine motor skills. 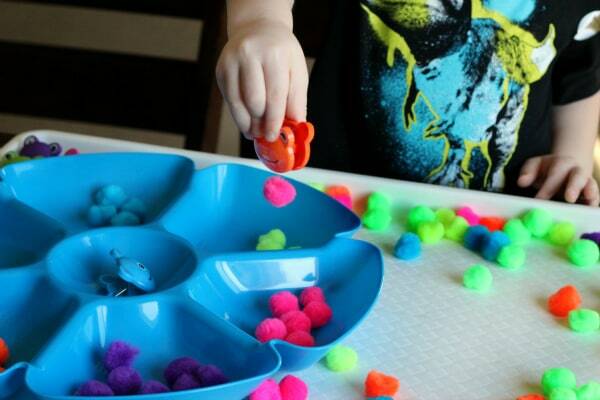 Children will also practice color recognition while playing with the pom poms and sorting them by color. Dump out the pom poms. 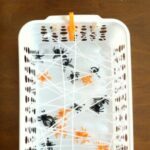 Place the bag clips and tray nearby. That’s it! 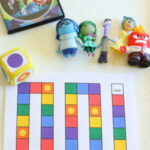 I laid out the supplies and invited my kids to play with them. I showed them how they could pick up the pom poms with the monster bag clips. 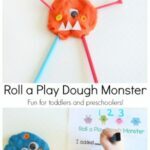 I told them the monsters like to munch on them for snack. 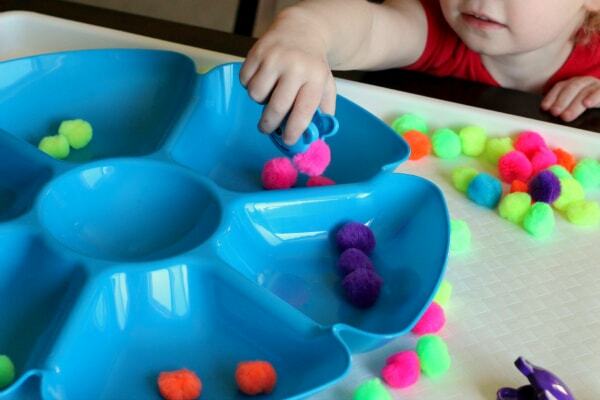 I invited them to use the matching clip to pick up each color pom pom and sort them into the tray. They did this for a bit, but preferred to use each clip to pick up any color they wanted. 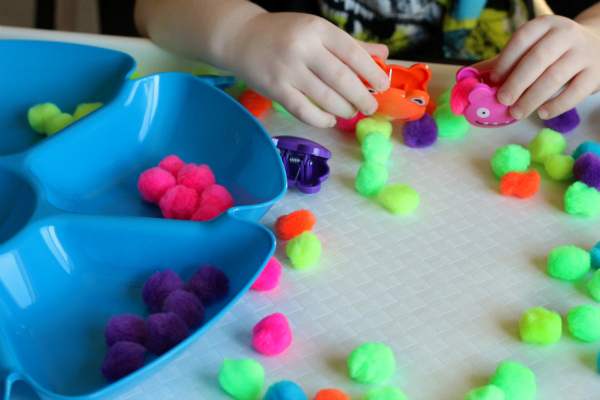 After sorting a bit, they just wanted to play with the clips and pom poms. My son picked up several at once and stuffed them on top of the clip and pretended they had arms, legs and hair. 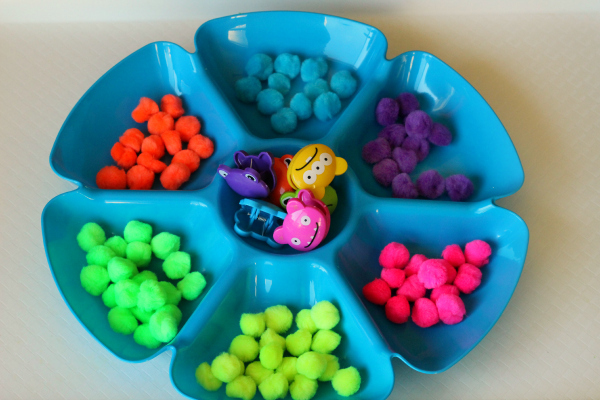 He had them hopping around on pom poms, but they could only land on matching pom poms. He even pretended they were throwing pom poms at each other. My daughter just enjoyed playing with the clips and the pom poms. She really couldn’t pick them up with the clip, but she still enjoyed sorting and playing with the pom poms. She also spent a bunch of time trying to figure out how to open and shut the bag clips. 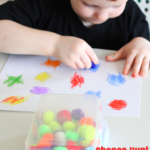 In the end, they didn’t play with it exactly as I hoped, but they still spent lots of time developing fine motor skills and working on color recognition. 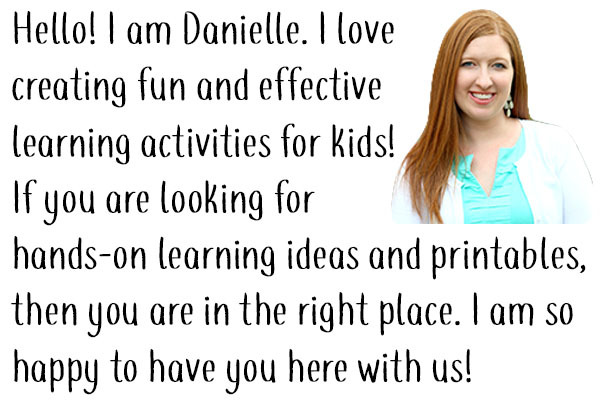 It was a fun invitation to play! 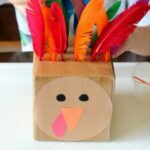 Here are some related posts I think you will enjoy! 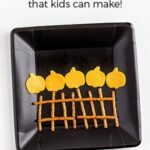 5 Little Pumpkins Snack that Kids Can Make!